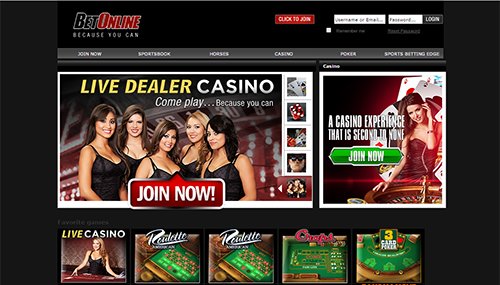 BetOnline Casino Review - A Safe Place to Play Roulette and Bet Online? Why BetOnline? “Because you can” runs the slogan of this simply styled sportsbook and casino. It’s as good a reason as any to have a flutter on the football or tennis, but why bet online with BetOnline? What makes this gambling site better than the countless other gambling sites vying for your affection? Well, there are a few reasons that surface on first inspection. The site specialises in American sports for one thing, which will appeal to fans of the major leagues: football, baseball and basketball. Betonline offers promotions across their casino, poker and sportsbook platforms, so there are plenty of reasons to Betonline whenever you feel like it, whether that’s by desktop or mobile. There’s a good variety of slots and casino games, sportsbets and poker tournaments, as well as live-casino action. There’s also a decent selection of banking options, whilst all the necessary security protocols are in place to promote trust and reliability. As it’s been building a reputation for great online betting since 2004 – there are lots of reasons to Betonline! Life is never boring at Betonline, and you only need to visit the packed full Promotions Page to see why. Awaiting you there is a 50% Welcome Bonus of up to €/$2,500, and 25% Reload Bonuses of up to €/$1,000 on all subsequent deposits. There are also plenty of Free-Roll opportunities, including a $100 free-roll for every friend you refer, and €/$25 Live-Betting free-rolls. Meanwhile, if you like betting on the horses, then how about 7% Track Rebates on every bet you place online, and 4% track rebates for every bet you place by phone. Slot players can also look forward to a 100% Bonus on every deposit of €/$100 they make, as well as enjoying a 10% Casino Rebate, a 25% Live Dealer Free Play, and a High-Roller Bonus. You can even have a €/$50 Free-Play when you place your first bet via a mobile-phone. The fun never stops though, and there’s also monthly promotions such as The Blackjack Boss, as well as loads of Poker Guaranteed Jackpots and Leaderboard Challenges. These include the €/$100,000 Guaranteed Jackpot, The Bad Beat Jackpot, €/$10,000 Weekly Cash Race, Bounty Tournaments, €/$7,500 GT Series. MTT Leaderboard Challenges, and the Sit & Go Leaderboard. While its name is synonymous with sports betting, the casino at BetOnline is an integral part of the whole experience. 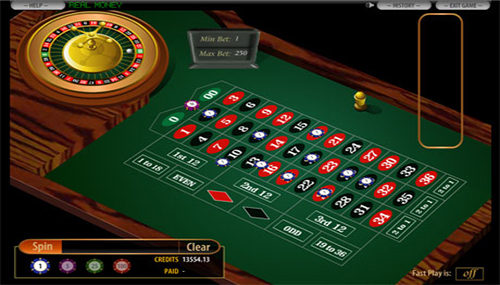 There’s a wide range of table games to be played, and roulette aficionados will be particularly enamoured with the selection. Play live, interacting with real world dealers who look the part and have the chat to match as they spin the wheel and the action commences. 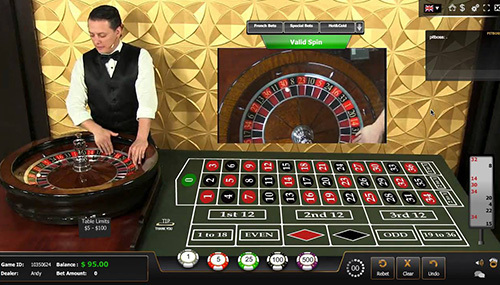 The live roulette is exciting, but for those who prefer their virtual games, there are a couple of options: American Roulette and European Roulette, along with a number of other table games that include Blackjack and Baccarat. There’s something for everyone at Betonline, with traditional casino games like American Roulette and Super 7 Blackjack, Video Poker games such as Bonus Deluxe Multi-Hand Poker, 5-Reel Slots, 3D Slots, and Skill Games. There’s also a Live-Casino serving-up Roulette, Blackjack, Baccarat and Super 6, as well as the Betonline Sportsbook, the Betonline Racebook, and Betonline Poker. Betonline uses the very popular Betsoft Casino Software, and Betsoft have an ethos to provide engaging and memorable cinematic 3D Games that everyone will enjoy. Slots include The Slotfather, Kawaii Kitty, Charms and Clovers, Great 88, and Birds, whilst Betsoft also produce a range of popular casino like Craps and Red Dog and video-poker games like Five Draw Poker. Slots and Games are also available on desktop and mobile. There are numerous ways of depositing and withdrawing funds at Betonline, including credit cards, e-wallets, bank transfers and cryptocurrencies, and each offers different minimum and maximum deposits and withdrawals. You can deposit between €/$50 and €/$5,000 with either a Mastercard or Visa Card, whilst both Skrill and Neteller have a €/$10 minimum and a No-Max Maximum. Book-To-Book and Bank Wire Transfers also have no upper-limit, but have respective minimum limits of €/$500 and €/$1,000. If you’re looking to make a big withdrawal, then Skrill and Neteller allow withdrawals up to €/$9,900, whilst both Book-To-Book and Bank Wire Transfers allow withdrawals of up to €/$24,900. Meanwhile, if you’re depositing and withdrawing with Cryptocurrencies, you can deposit between €/$20 and €/$5,000 with both Bitcoin and Litecoin. Bitcoin allows withdrawals of between €/$25 and €/$5,000, and Litecoin allows withdrawals of between €/$25 and €/$10,000. If you want further information, contact Betonline’s customer support team. If you want to make deposits in US Dollars at Betonline, you can do so by Visa, Mastercard, Person To Person, Money Order, Skrill, Neteller, Book To Book, Bank Wire Transfer, and Cheques, all of which offer speedy transactions. Alternatively, you may want to consider depositing by either Bitcoin or Litecoin, two popular and speedy cryptocurrencies. Betonline Mobile has been designed for “people on the go” and there’s now no excuse for missing a bet whether you’re in the office of drinking in a bar. Betonline is now also available on any smartphone with an internet browser, including iPhone, Android Phones, Blackberry’s and Windows Phones. All you need to do to go-mobile is enter www.betonline.ag into your browser, and you’ll be redirected to mobile.betonline.ag where you can use your desktop username and password to log-in and play your favourite slots and casino games, or place sports-bets or in-play sports-bets. Live-Casino mobile-action is also coming soon. Betonline doesn’t have a specified Jackpot Section, but a variety of the Betsoft Slots offer Progressive Jackpots. These include the Greedy Jackpot in the wickedly-funny slot Greedy Goblins, whilst Charms and Clovers offers players three chances to win a Jackpot. The most famous Betsoft Jackpot Slot though is Mega Glam Life, in which you can win the Big, Huge or Mega Jackpots. There are also several $100,000 Guaranteed Poker Tournaments. Egypt, Ghana, Indonesia, Macedonia, Malta, Montenegro, Morocco, Nigeria, Pakistan, Panama, Serbia, Ukraine. Chinese, English, French, German, Greek, Italian, Japanese, Portuguese, Russian, Spanish, Swedish, Turkish. BetOnline is a sportsbook and casino that looks promising on first inspection. On closer inspection, it proves to be deeply disappointing, with a complete absence of useful information and a worrying paucity of essential features. Sure, it’s got a casino and poker room built in, and there’s a good selection of roulette games, it’s true, but everything beyond that is a mystery. Don’t play here if you can help it.